Drastic savings on all major name brands! Made for iPhone (50) ? Made For Any Phone (21) ? 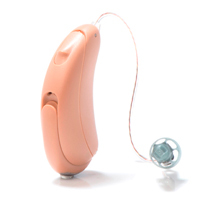 What’s the first word or image that comes to mind when you think of hearing aids? If your answer is “old” then you need to keep reading. While it’s no secret that hearing loss often accompanies older age, the condition affects people of all ages. In the United States alone, 27.7 million adults under the age of 70, including half of those in their 60s, have hearing loss. In addition, 31% of individuals in their 50s, 14% in their 40s and even 2-3% in their 20s or 30s could benefit from hearing aids. Maybe the thought of hearing aids reminds you of the bulging variety your parent or grandparent wore, that squealed a lot and helped a little. Times have changed. The reality today is that hearing aids have come a long way from the non-programmable amplifiers of the past. Think about it. Modern hearing aids are part of the same digital revolution that brought us smartphones, flat-screen TVs, voice-operated kitchen appliances, and self-driving cars. Technology developments have brought a cultural shift too, and the change is good for people with hearing loss. Just look around and you’ll see earphones and wireless Bluetooth headsets dangling from the the ears of teenagers and adults alike. Thanks to advances in mobile devices and wireless technology, wearing electronics and personal audio devices in and on the ears has become a part of everyday life for people with and without hearing loss. Many modern hearing aids offer the the same conveniences as consumer audio technology, but in a really tiny package. Bluetooth wireless, hands-free calling, and even integration with smart home systems are already available in hearing aids. Some offer even more functionality than consumer technology. How many mainstream Bluetooth headsets come with noise cancellation, machine learning, motion-sensing, fall detection, automatic program selection, location-tracking, and personalized fitting, plus professional service and support? These are features you can get right now in hearing aids. Even though 10% of the American population could benefit from hearing aids, only about 3% own at least one hearing aid. Among those who do own hearing aids, satisfaction is on the rise, and improved technology might be one of the reasons. Satisfaction with hearing aids increased by 7 percentage points in 2015 compared to ratings five years earlier. The newer the hearing aids, the more likely owners were to report satisfaction. Among those with hearing aids less than one year old, 91% of survey respondents said they were satisfied or very satisfied with their hearing aids. Hearing aids have improved a lot even since 2015. They are not the same devices that your parents wore a few years ago. Modern hearing aids are far more advanced. They’re functional. They’re sleek. They’re loaded with great new features, and they’re effective too. Hearing aids come in a wide array of stylish colors and designs, so you can show them off... or not. 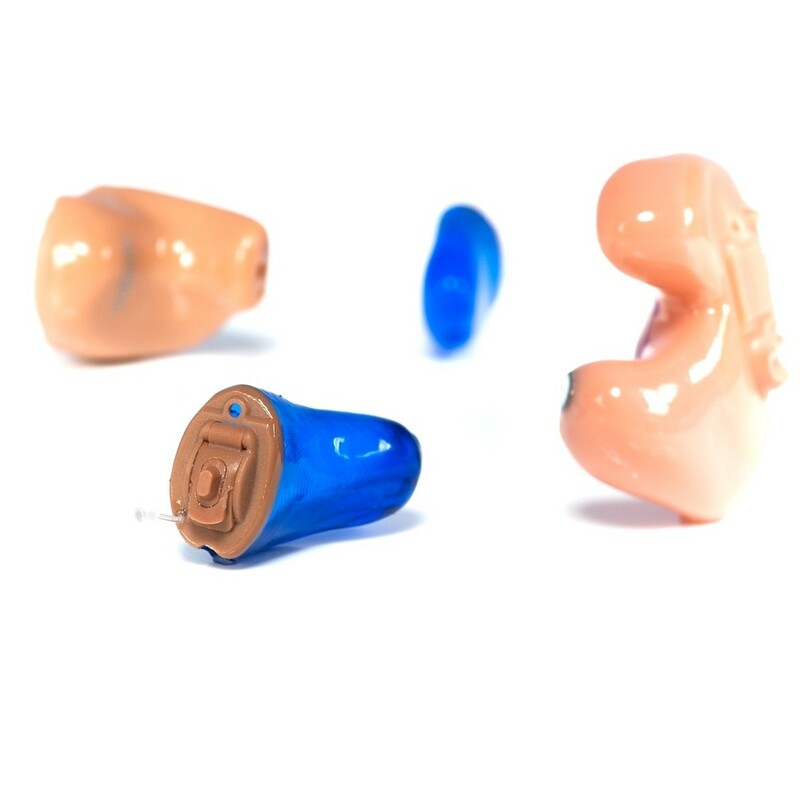 Hearing aids are smaller than ever before, so if you want to keep them discreet, that’s an option too. Great design isn’t only about stylish looks. It’s also about ease of use, comfort, reliability, and overall performance. Modern hearing aids have an ergonomic shape, simple controls, and weigh so little that it’s easy to forget you’re wearing them. Most current hearing aids have a water-resistant nano-coating to keep them clean and dry on the inside, even when things get messy on the outside. Many models can easily survive accidental submersion. 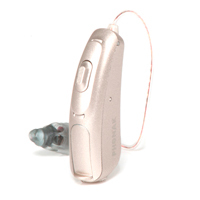 Several hearing aid models are now available with rechargeable batteries. Look for the Z-power charging kit with Silver-Zinc batteries if you want hearing aids that can run on rechargeable or disposable batteries. Choosing a model with custom Lithium-ion batteries will give you longer-lasting power from each charge and convenient charging solutions, but without interchangeable batteries. Two hearing aids working together in a pair can do some special things. One example is simply sending the signal from one ear to other. For instance, you can hold the phone to one ear, but hear it in both ears. Convenient! Hearing aids with a wireless link can also provide more effective noise reduction and directional hearing. This helps reduce interference from background noise without making listers feel cut off from their surroundings. If you talk on the phone, listen to music, or disagree with someone in your house about how loud to turn up the TV, you might enjoy direct audio streaming. Hearing aids that offer this feature, double as a high-quality Bluetooth wireless headset. This lets you stream audio directly to the hearing aids, in stereo, from compatible mobile devices and dedicated wireless accessories. Enjoy hands-free phone calls and wireless music with no additional accessories! Wireless hearing aids let you make volume and program adjustments using an Android or Apple iOS mobile device as a remote control. This is a nice convenience, but what if you want to do more than than just change the volume or program? You can now use a smartphone to request program updates from your hearing care professional or to have a live virtual appointment, and even to make your own adjustments with the help of artificial intelligence technology. Do you prefer to use a particular hearing aid program in a specific place? Geotagging lets you activate your favorite listening settings automatically, based on your location, using your smartphone’s global positioning system. The latest hearing aids feature automatic programs designed to optimize the listening experience in nearly any situation. Automatic programs are not really new, but automatic sound classifiers have become faster and more accurate. Some can reconize hundreds of different listening situations. Phonak has been a leading hearing aid innovator for 70 years. Phonak’s cutting-edge hearing aids and accessories are both functional and stylish, contributing to the Swiss company’s reputation as a provider of premium-quality hearing aids. Featuring a huge collection of digital sound processing algorithms, Phonak hearing aids are known for their effective performance in many different environments. The Signia hearing brand represents forward-thinking hearing solutions, advanced engineering, and adaptive automated hearing performance. Formerly known as Siemens, Signia was founded more than 100 years ago. Now a part of the Sivantos Group, the company continues to focus on cutting-edge technology, while introducing a new emphasis on personalized hearing care. Signia innovations include include superb noise reduction and impressively natural sound quality for your own voice when wearing hearing aids. Signia’s new Pure Nx model is leading the way in natural sound quality for the wearer’s own voice and in background noise reduction. Noise reduction technology is something every company offers, but we believe you’ll really hear a difference using their Pure Nx models. ReSound is a global leader in intelligent audio solutions. Founded in 1943, ReSound is part of The GN group and a sister company to the well-known Jabra brand of wired and wireless headsets. ReSound is based in Ballerup, Denmark, and operates in more than 80 countries around the world. ReSound was the first company to offer Made for Apple hearing aids, featuring Bluetooth wireless and direct stereo audio streaming. The convenience of hands-free phone calls, plus ReSound’s easy-to-use wireless accessories won accolades from industry experts and consumers alike. 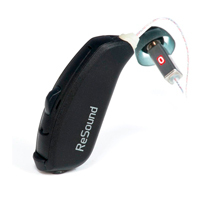 Polished fit and finish and a smooth user experience are a theme that repeats throughout the ReSound product line. The Oticon brand rests on the promise to put people first. Founded in 1906, the company has thrived for more than 100 years by constantly innovating. Insight gained from those who wear Oticon hearing aids, and Oticon’s depth of scientific research are the fuel that powers the company’s innovations. Oticon owns and operates the Ericksholm-Research Centre in Denmark, where scientists are studying how the brain perceives sound and how selective listening works. For Oticon, helping people with hearing loss goes way beyond just making sound louder. Oticon’s award winning hearing aids are designed to help you communicate, interact and participate fully in life. Oticon hearing aids are a great choice, whether you’re considering hearing aids for the first time or upgrading from an older model. If you are interested in hearing aids that can connect to a smart home system, check out the Oticon Opn. When Starkey Hearing Technologies opened its doors in the 1960’s, it was the very first hearing aid manufacturer established in the U.S. Headquartered in Minnesota, over 50 years later Starkey remains the only major hearing aid manufacturer based in this country. The company has grown to become one of the global hearing aid juggernauts, now operating in 100 markets worldwide. Starkey is known for its hearing research and for the charitable donation of more than one million hearing aids to people in need. Founded in 1956, Widex is a family-owned and operated company that has grown to become one of the largest and most well-respected hearing aid manufacturers in the world. 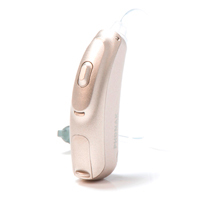 The company’s mission is to provide the absolute best hearing aids and services available. 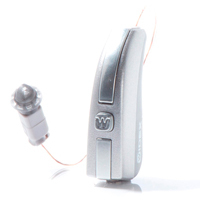 Widex hearing aids are sold in more than 100 countries. Unitron is a Canadian hearing aid manufacturer with a global headquarters in the Waterloo region. 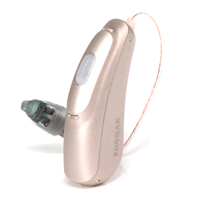 Part of Sonova, Unitron shares its parent company with the Phonak brand, but Unitron takes its own approach to designing hearing aids. It’s a refreshing difference that puts the priority on value, satisfaction, and delight. Unitron hearing aids have won accolades for their appealing aesthetics, comfortable ergonomics, and outstanding ease of use. Choosing the “right” hearing aid style is a combination of your preferences, the features you want or need, comfort and fit, and the performance requirements based on your type and degree of hearing loss. Hearing aids worn behind the ear, or BTEs house all of the hearing aid components on/behind the ear. Traditional BTEs deliver sound to the ear through a plastic tube connected to a hard or soft earmold in the ear canal. 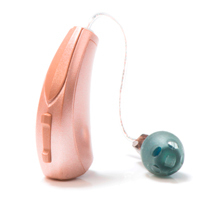 BTEs can provide powerful amplification for severe to profound hearing loss. They can also hold relatively large batteries for long battery life, especially when streaming audio. RIC, or Receiver-In-Canal hearing aids are worn behind the ear, but but with the receiver (speaker) in the ear canal. The receiver rests in the ear canal, held in place by a soft dome that does not block the ear canal. 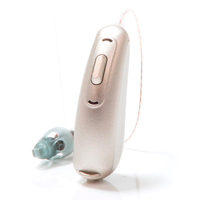 A thin wire connects the receiver to the hearing aid, making this style much more discreet than traditional BTEs. Moving the receiver out of the hearing aid and into the ear canal lets manufacturers make the hearing aid smaller, and helps prevent feedback. RICs don’t require any custom manufacturing, so the fitting process is fast and easy. There is very little reason not to choose this style, which is why it accounts for almost three quarters of hearing aid purchases. ITE, or In-The-Ear hearing aids are just what their name suggests. ITEs are usually custom-made to fit perfectly in your ear. Full-shell ITEs fill the bowl-shaped concha of the outer ear. The faceplate usually has enough room for a volume control and a program button/switch. Some people really like the simplicity of having physical controls within easy reach, rather than using a remote control or a smartphone app. However, most people prefer a smaller in-ear style or RIC. 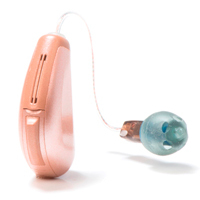 Only 5% of hearing aids sold today are a full-shell ITE. Other in-ear styles include the half-shell ITE, ITC (In-The-Canal), and CIC (Completely-In-Canal) styles. So-called “invisible hearing aids”, or Invisible-In-Canal hearing aids (IICs) are just another name for very small CICs. The idea of invisible hearing aids is appealing, but they accounted for just 4% of hearing aids purchased in the year 2017. The reason is simple. They cost about as much as other styles, but don’t offer as many features or as large of a fitting range. However, they do perform well and are comfortable to wear. If you have mild to moderate hearing loss and discretion is your top priority, this style could be the one for you. Based on 292 User Reviews, our TrustPilot ratings are 5 out of 5!